Just like the shepherds couldn’t stop themselves from sharing the good news of their Savior’s birth, Jackson, a new Lutheran living in Venezuela, can’t keep the peace he found in the gospel to himself. What’s amazing is that less than a year ago, Jackson didn’t have that peace. Living in a country that economically and socially is falling apart—and where there aren’t any churches that faithfully share God’s true Word—Jackson was looking for hope. He saw a Facebook post from Academia Cristo that shared the gospel message and invited him to join a Whatsapp (texting) group that discusses a daily devotion. As he learned more, Jackson began peppering the group leader Henry Herrara, pastor at Most Holy Trinity, Medillín, Colombia (a sister church to WELS), with questions. Herrara invited Jackson to take an online class that he was leading through Academia Cristo. Jackson joined all Herrara’s classes, went through Bible information class, worshiped online with Most Holy Trinity, and within months was confirmed. But that wasn’t enough for Jackson. 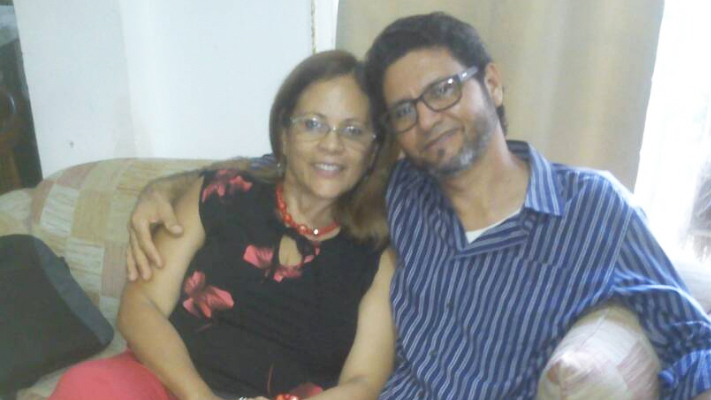 He began inviting people into his home in Venezuela and teaching them what he had learned. He also started offering weekly worship, using the website Iglesia Luterana Cristo for his worship resources. Just this past summer, he visited people he knew in five different Venezuelan cities and invited them to learn about Jesus and start churches in their communities. Jackson is just one example of the people Academia Cristo is reaching. Since its launch almost three years ago, Academia Cristo has reached Spanish-speaking people in different countries with the life-saving message of Jesus. And some of those people, people like Jackson, are sharing that message with others. The use of Facebook helps spread the word about the ministry. With more than 780,000 followers and a reach between 1 to 2 million people a week, the Academia Cristo Facebook page shares daily messages of grace and directs people to the website. At academiacristo.com, people can download free video Bible classes and resources to learn more about their Savior. Those who want to dig deeper can register for the Heme Aqui (Here I Am) five-week live online course, which teaches them the essential truths of God’s Word and how to share them. The class’ final project has students videotaping themselves sharing a Bible story with someone else. More than 150 people are active in this course now. The final stage is another set of courses, En Vivo (Live), which works through the Old and New Testaments and Luther’s Catechism, again with an emphasis on how to teach law/gospel truths to others. Participants are connected with a missionary or national pastor who will mentor them and help them plant churches in their communities. House churches have already opened in Mexico, Colombia, and Venezuela. “It’s disciples who are discipling disciples,” says Hartman. Know Spanish speakers who wants to learn more about Jesus? Direct them to academiacristo.com.